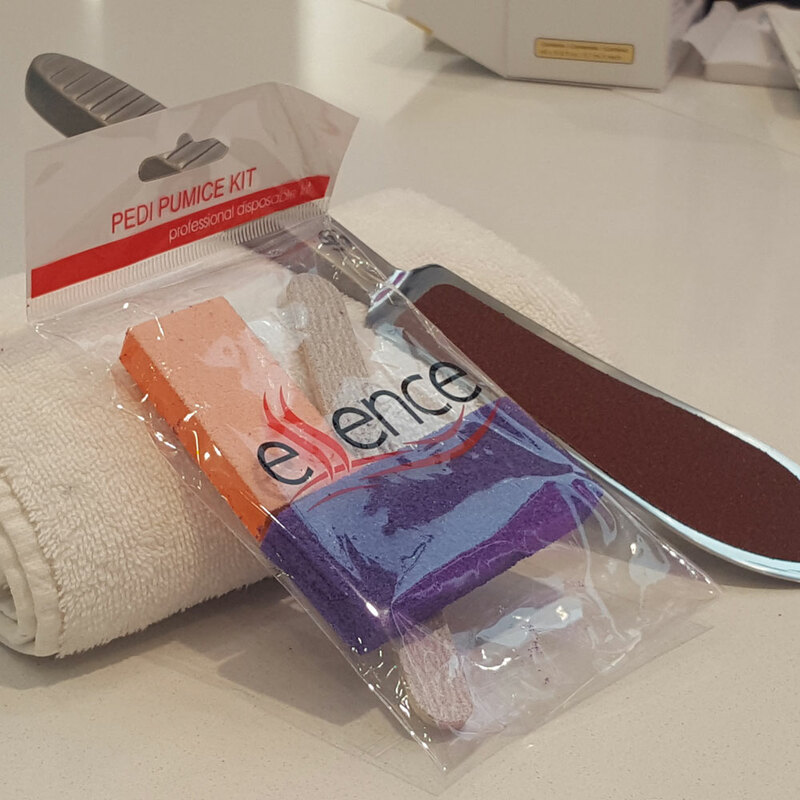 Starting April 23rd, Spa Dahlia will offer their spa pedicure & spa manicure with a one time use kit to go a step beyond in providing you with a clean, secure and comfortable environment. * All of our metal tools are cleaned and sterilized with hospital grade steriflo. If you wish, you may also purchase your personal kit of metal tool (nail clipper, cuticle pusher and cuticle cutter). time, we can talk and come to a conclusion. 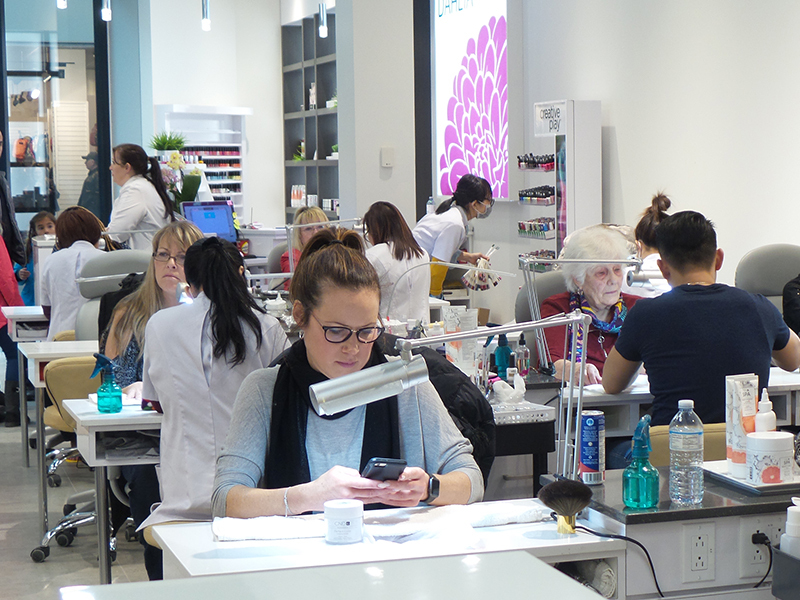 Located in the heart of the west island, in the prestigious Cadillac Fairview shopping center, Spa Dahlia takes nail fashion to a new level. The team at Spa Dahlia takes pride to make you look your best, step into a 5-7 with extraordinary shellac colors on your finger nails, well manicured feet that would make heads turn in an instant. Most importantly here at Spa Dahlia we take pride in providing a clean and comfortable environment. A relaxing seat awaits you. 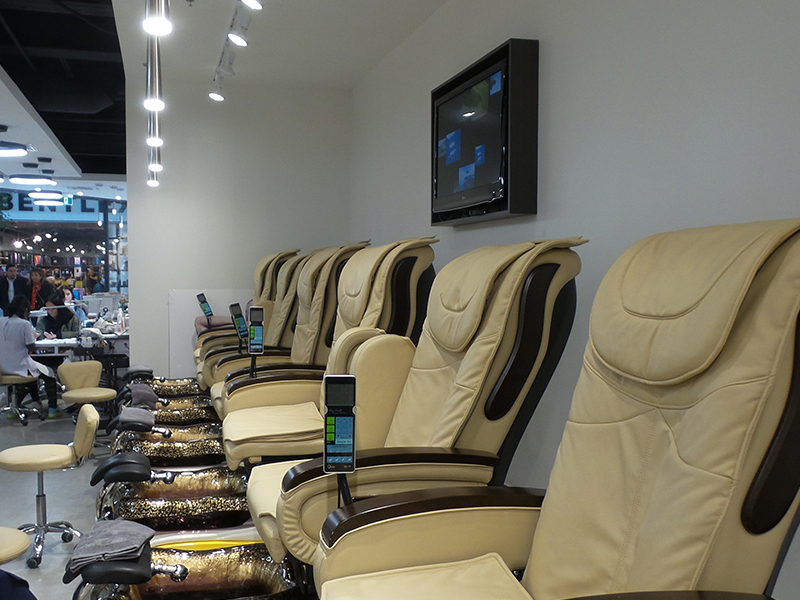 Elevate ordinary manicures and pedicures into premium spa services. Experience bliss from fingers to toes! Using CND citrus spa manicure & spa pedicure products will energize, refresh and lift spirits every time. Using CND almond oil, products soothe tired hands, leaving them baby-soft and crack feet leaving them baby soft. 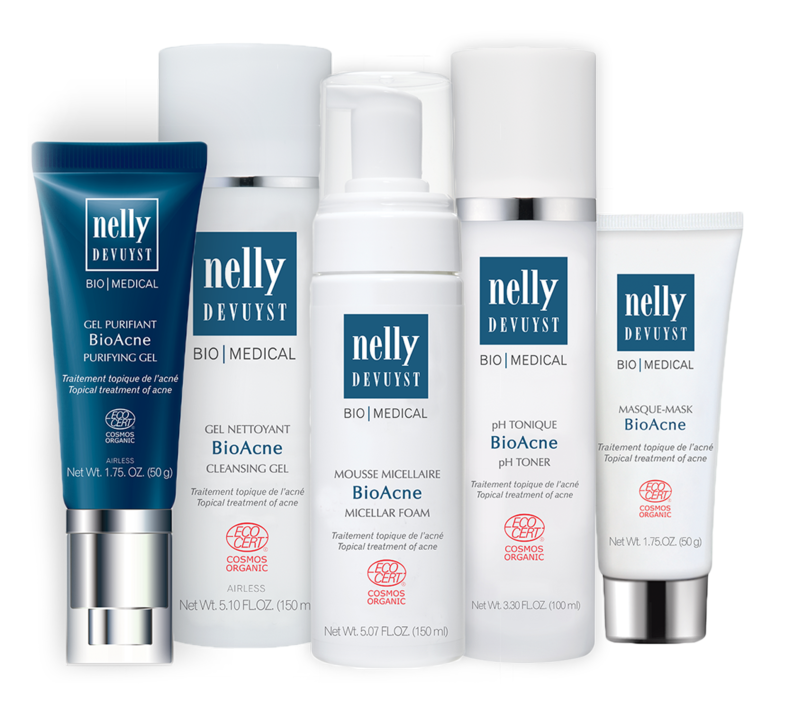 Using callus softener & very dry skin formula are proven to moisturize and restore very dry skin. It is non-greasy and is absorbed into all layers of the skin immediately. 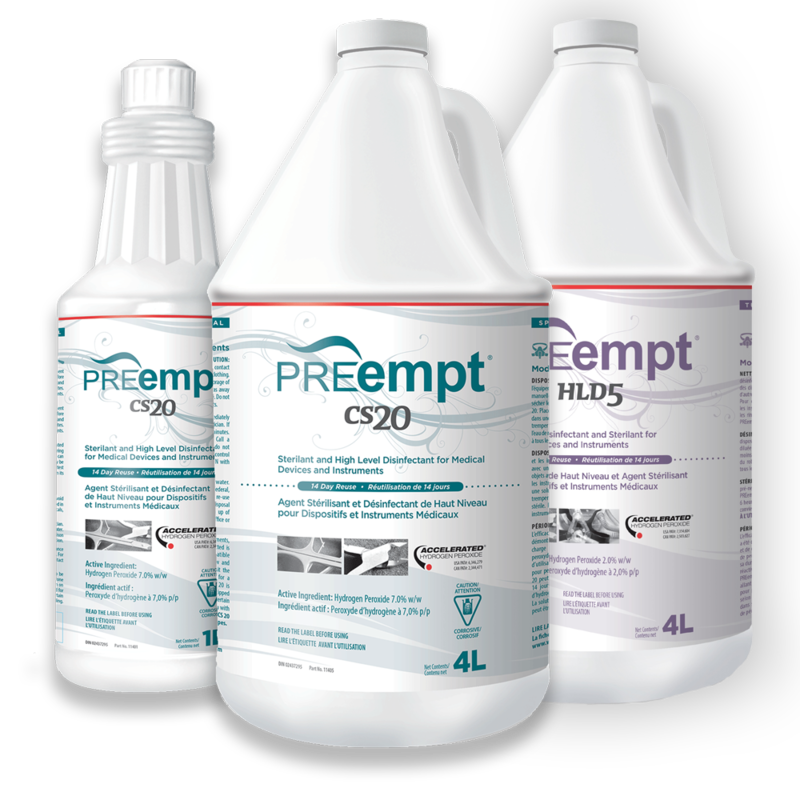 Recommended for use in the pedicure as the final step before the massage. Using CND brisa sculpts, enhances and extends nails–or just corrects the tiniest to toughest flaws. The result? 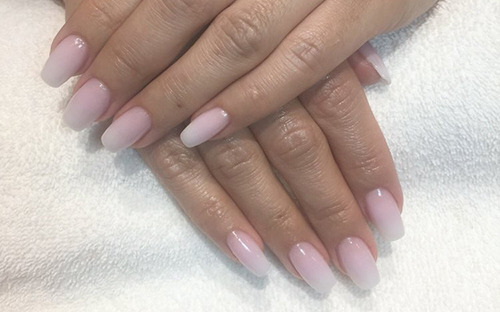 Perfect, natural-looking, workable nails flexible enough to go anywhere you want..
Ombré nails (just like ombré hair) are a type of manicure in which a color gradient is created. 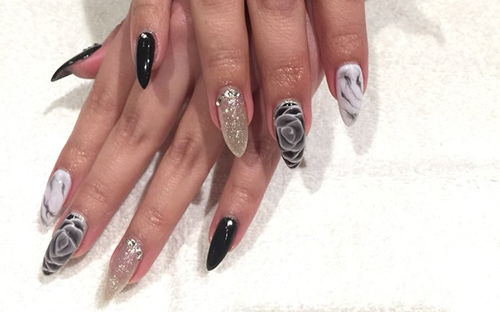 A light color on the top of the nail gradually blends into a darker color toward the tip. Getting the perfect ombré effect can take time and practice, but there’s a lot of room for originality to make your ombré effect unique. Reflexology is the application of appropriate pressure to specific points and areas on the feet, hands, or body. Reflexologists believe that these reflex points correspond to different body organs and systems, and that pressing them has a beneficial effect on the person’s health. New release: BioTense Line, very 1st Cosmos and Ecocert organic certified facial in the world. 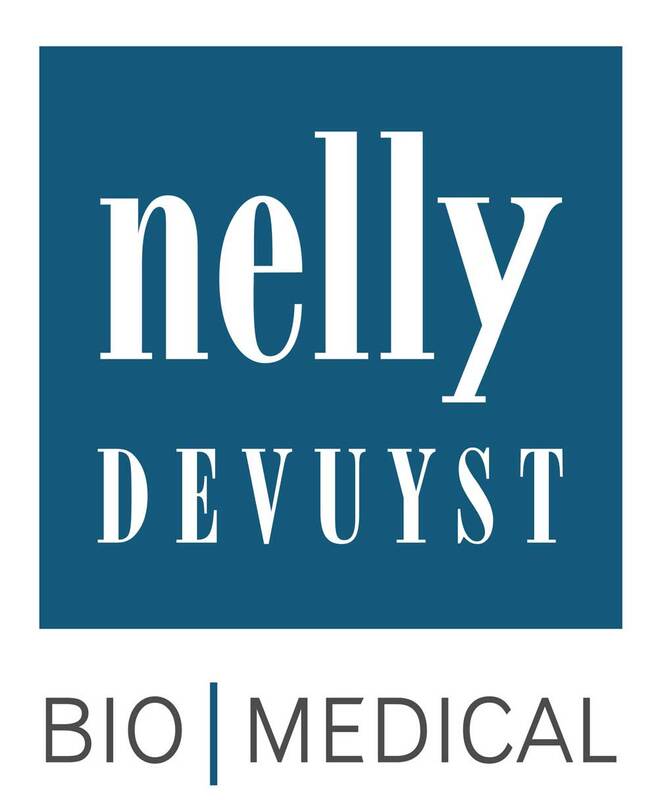 Efficient, organic, fair trade, eco-friendly, Vegan, Gluten free and cruelty free treatment care. 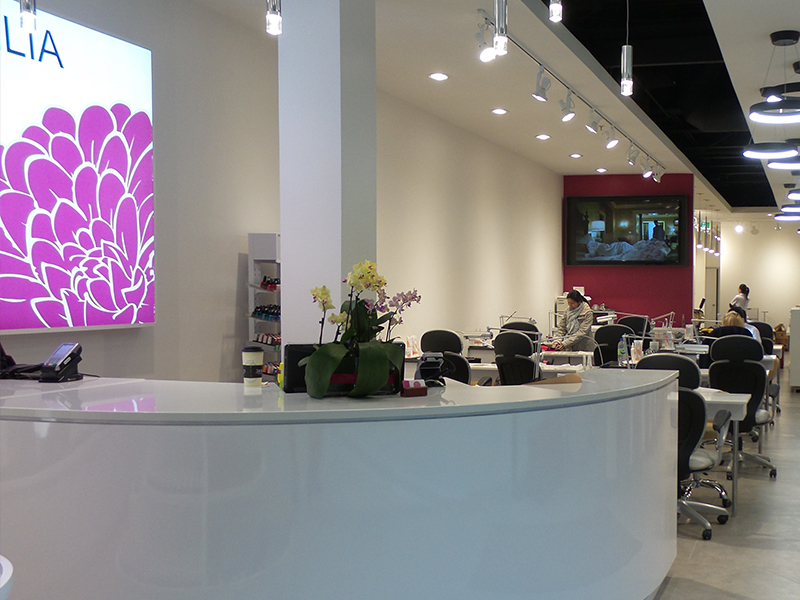 At Spa Dahlia, we seek perfection by using the best hair care product and the latest cutting and coloring techniques. Eyelash Extensions is a practice that enhances the length, thickness and fullness to natural eyelashes. Classic extensions are perfect for those who wish a more gentle look and the 3D has 3D volume lashes with 3-times the thickness and 3-times the lusciousness. Born with the same philosophy used in skin care, Kevin Murphy products are concieved to be natural, light and give performance. Spa Dahlia guarantee only 1 week to fix or repair nails. without that, we charge you extra fee. 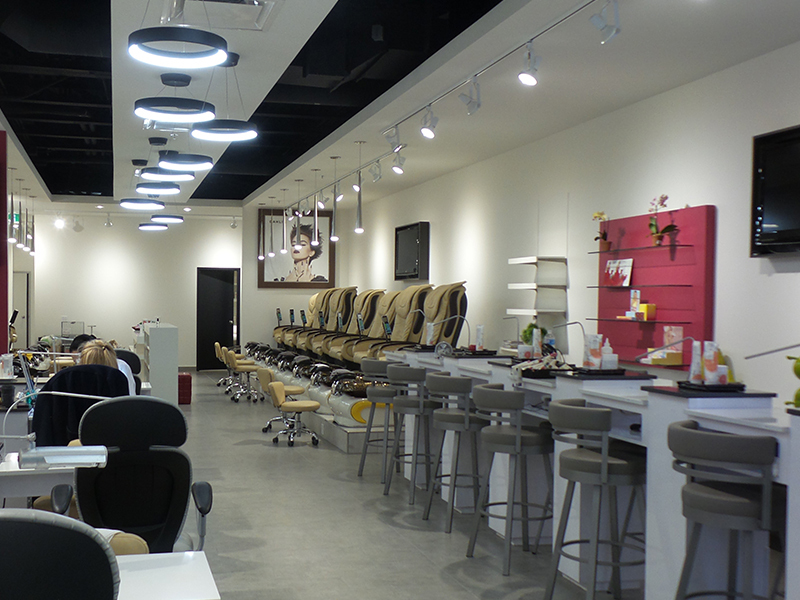 Take a look at our practice and process of defining spa ! 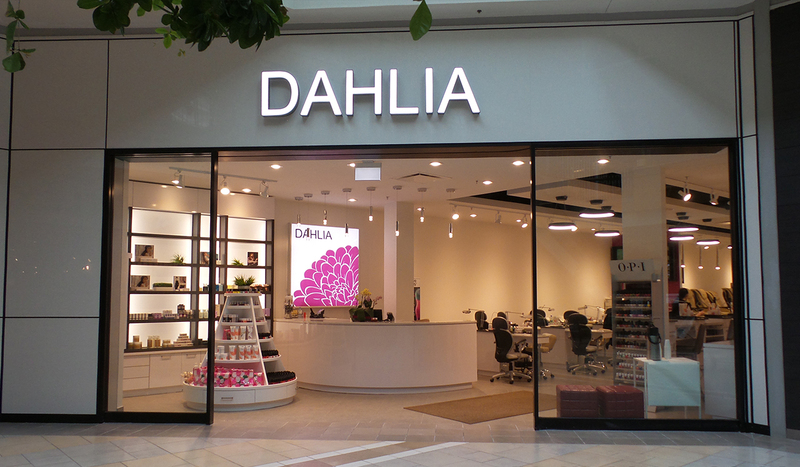 Sign up to receive special offers and exclusive news about Spa Dahlia.